Last Thursday was the Biology Society Summer Ball, we've never been to a formal dance while we've been at Uni so we all promised to go to this one, since its our last year. It came a little bit earlier in the semester than I thought it would be, so Mum had to post me my dress, shoes and jewellery (thanks Mum!). Hazel came over to ours a couple of hours early to get ready, but getting ready really doesn't take us that long so we pretty much just listened to The Eagles and drank Amaretto. We spent the rest of the night drinking wine and dancing. It was such a good night and I'm so glad we went. I took my camera, but it was one of those nights where it didn't really occur to me to use it that much, so I'm really glad we had some 'proper' pictures taken. 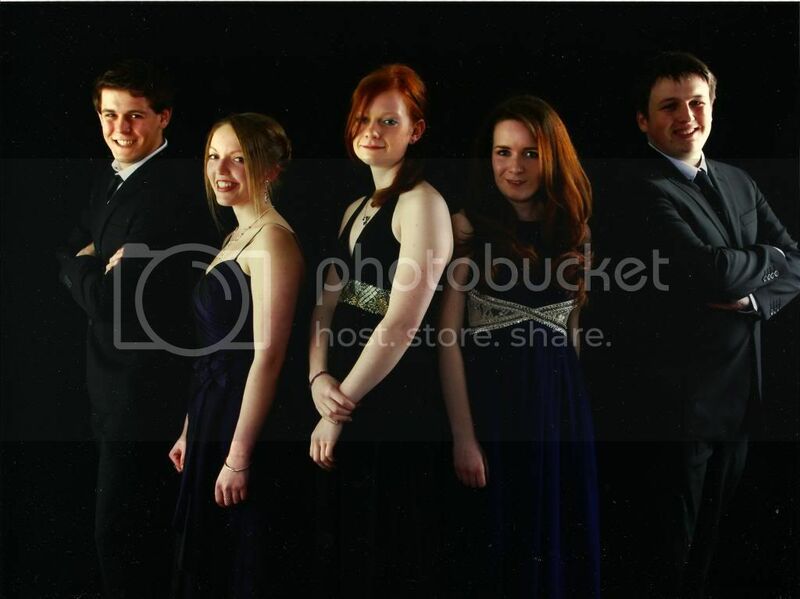 R thinks we look like the cast from a dodgy US murder-mystery sitcom. I can sort of see it. These guys are my favourites. I may be looking forward to finishing Uni, but I know I'll really miss them. Girl you look so smokin'!! I didn't go to any Balls at uni either, until the very last one. And it wasn't even one for my college. Woops! It was fun, by my drunk idiotic boyfriend at the time ended up hijacking a bus so the memory is a bit tainted. Or the next Bold and the Beautiful cast! What a great photo! You all look great.